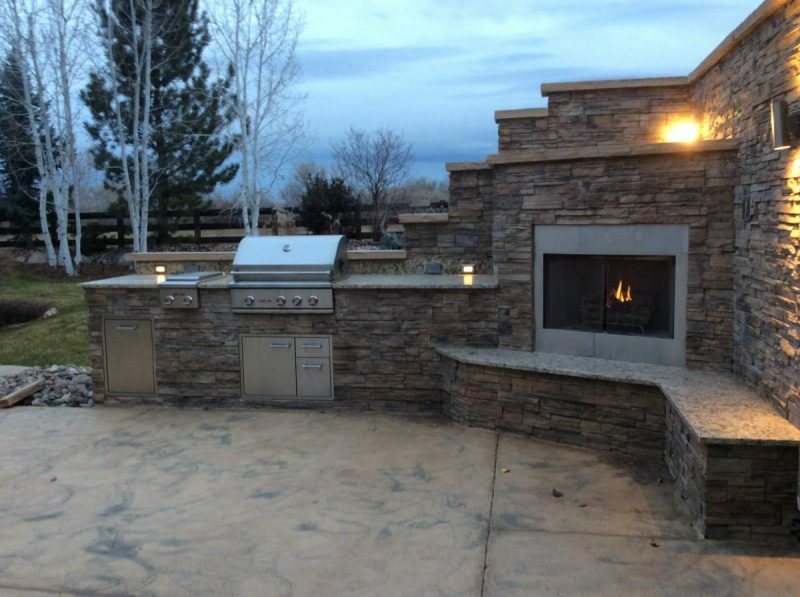 We know that an outdoor kitchen project is a significant investment of time and money to any homeowner. This great home addition brings value to your property and makes cooking more enjoyable. Naturally, you may want to research through the Internet for the best outdoor kitchen designing tips. However, with so much information floating around, it may be challenging to get started. For this reason, we have rounded it all up into four easy basic things to consider when designing an outdoor kitchen. Before you even start to design an outdoor kitchen and build it out, consider the space you have to work. An oversized outdoor kitchen may leave you with no space for the kids to play, no yard area to plant flowers, or even no ability to keep it the outdoor retreat that it was originally intended. Contrary, a too small kitchen may leave you wanting more and could reduce the opportunity of maximizing your outdoor space. The next step is to determine where you want to locate your outdoor kitchen. We recommend placing it as close as possible to the entrance to your indoor kitchen, as you won’t want to travel a long distance in case you need to go in to get anything you need. However, you may also want to find a location that will minimize the odds of smoke from the grill wafting through your house. 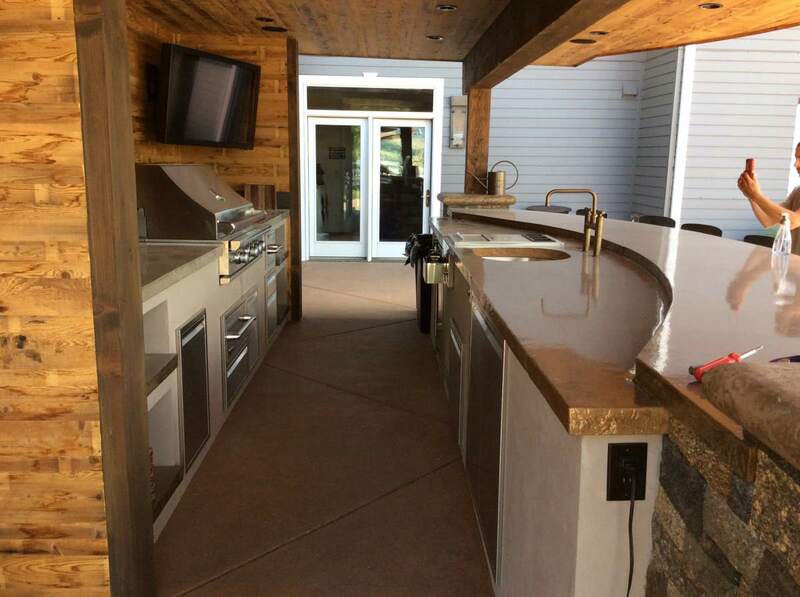 A professional outdoor kitchen company can help you figure out the best location for your outdoor kitchen. When it comes to outdoor kitchen appliances, the options are limitless. As long as your kitchen has the right fuel connections and outlets and the devices are well protected from the elements, almost every appliance found in an indoor kitchen can be used outdoors. 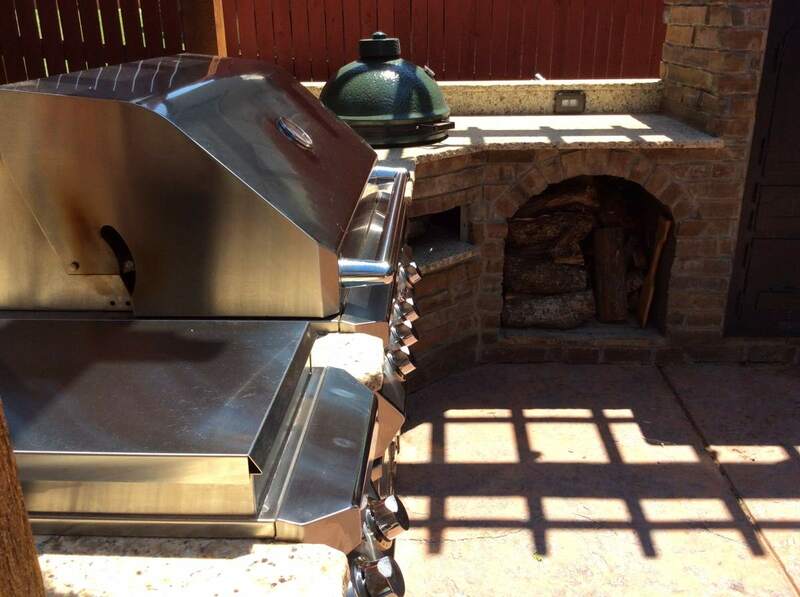 Just remember: the outdoor equipment you choose will determine the size of your outdoor kitchen. The entertaining zone, where you get to socialize with friends and family, is one of the top benefits of having an outdoor kitchen. Think about gathering spots for your guests and dining areas that seat four or ten people. Also, you can have bar stools around the countertop area for your guests. If you would like to know more about how to design the kitchen that fits your needs, contact Hi-Tech Appliances today! We will happily assist you throughout the process of designing the kitchen of your dreams!